In 2014, Smooth Rock Falls undertook the development of a comprehensive strategy that resulted in a 20-Year Vision and Plan. From that plan, we are now focused on sharing great information to help visitors, residents and businesses understand all that our little town in northern Ontario has to offer – details of which you will find on our new website. Be sure to check out the Calendar and Blog sections in particular. What will you find in Smooth Rock Falls itself? How about exceptional housing prices – great for families starting out or recent retirees. You’ll find incredible leisure activities such as fishing and hunting, as well as snowmobiling on award-winning trails. We are an easy driving distance to bigger centres such as Kapuskasing, Cochrane and Timmins, and passenger air service to and from Toronto is close by in Timmins. 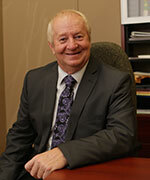 We also have outstanding municipal staff who are eager to work with you to set up, diversify or expand your business. To see more about life in our corner of Northeastern Ontario and meet the many different people who have started to call Smooth Rock Falls home, check out this short video. If Smooth Rock Falls is a place you’ve only just heard of, then consider all the great Canadians who’ve called this town home, including NHL legend J.P. Parise (father to NHL forward Zach Parise), World Champion and Olympic figure skater Jeffrey Buttle, and world-renowned singers Louise Pitre and Patricia O’Callaghan, among others. In Smooth Rock Falls we are very proud northern Ontarians with much to offer – I hope you will come to discover for yourself how the near north is near perfect. Please contact us so we can tell you more.